There is hardly a day that goes by.. When I don’t think fondly of Scotland, well more accurately the chip shops and Greggs The Bakers. There are few things in life more comforting than the well-fed wummin behind the counter in Greggs advising you that the Steak Bake you’ve just ordered has “still got a wee heat in it”. Thanks largely to the South American population you can get your hands on some savoury pastry methadone thanks to the empanada. They are essentially yer humble pastie stuffed with meat, chicken, chorizo or *spits* vegetables. One place well worth seeking out is situated at the junction of Floridablanca and Comte D’Urgell, a five minute walk or so from Pl. Universitat. 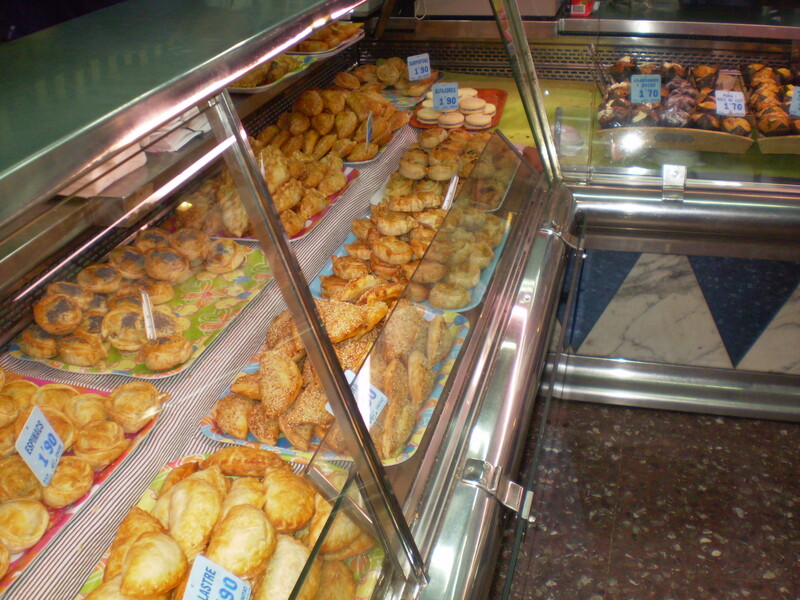 They have a fantastic selection of freshly made empanadas and at around a couple of euro each they are smashing value. You may notice I haven’t actually named the place as I’m not sure it actually has a name but that pic above will help you indentify you are in the right place. 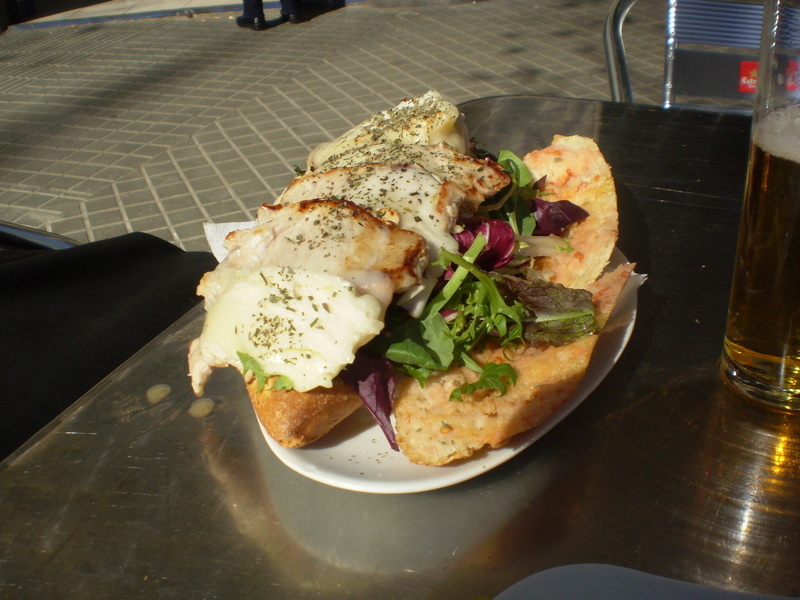 I should also make mention of the other stuff on the menu, they do a hot turkey breast sandwich, drizzled with a spiced oil that is sensational. To round off the feed I recommend you leave a little room for a cake to finish off your visit. Being South American they do a selection of cakes stuffed with Dulce De Leche, you will be familiar with this stuff as the caramel in caramel shortcake. There is no downside to any cake that contains this ingredient. This entry was posted in Cheap food. Bookmark the permalink. 1 Response to There is hardly a day that goes by..